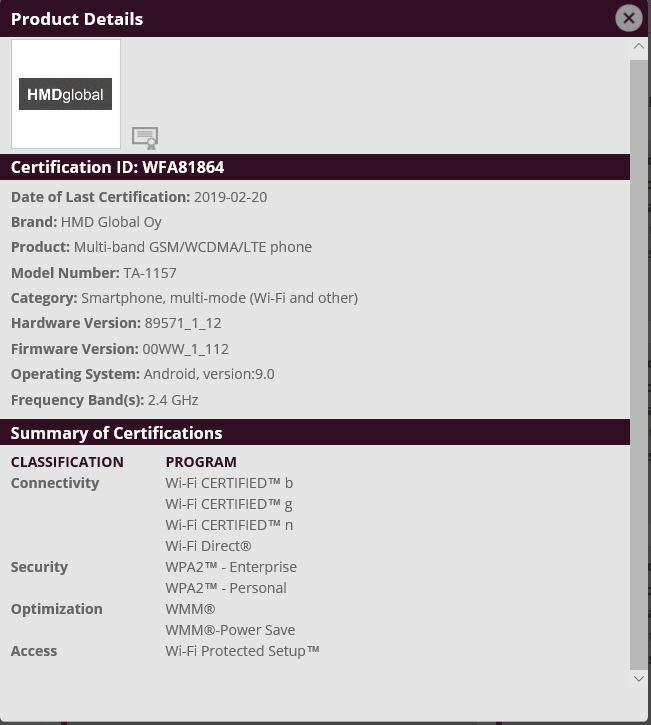 A new Nokia device under the model number TA-1157 passed Wi-Fi.org, getting a WiFi certificate that reveals some connectivity options of the device. This is the second appearance of TA-1157. The first was three weeks ago when TA-1157 passed FCC certification, revealing specs like a 3000mAh battery, memory configurations of 2/16 and 3/32GB of RAM and internal storage, a dual-camera on the back as well as NFC support. 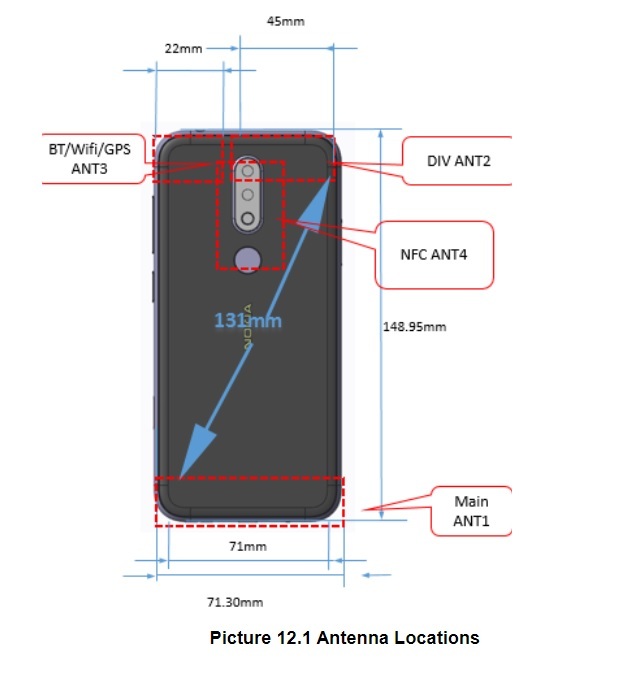 The released schematics by FCC also show a fingerprint sensor. Combining all the leaked info, we first assumed that the TA-1157 might be the new Nokia 3.2. Now, after a rumor about a Nokia 4.2 appeared, I would take into consideration the possibility that Nokia TA-1157 is the 4.2, because of the fingerprint sensor that is missing on 3.1. It’s just a guess, but 3.2 and Nokia 4(.2) both make sense regarding the specs. On 20th Febraury, the device was spotted at wifi.org receiving a WiFi certificate. The WiFi certificate (picture below the title) shows that the phone runs Android 9 and supports WiFi b/g/n. Lack of WiFi ac suggest a lower end model, so that too fits with the 3.2/4.2 theory. HMD Global is holding a launch event on Sunday, where we will probably learn more about the upcoming devices, including the TA-1157.